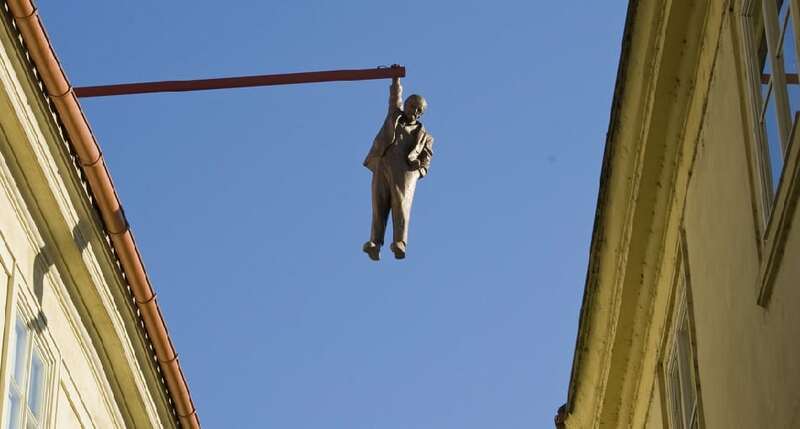 Czech artist David Cerny’s sculpture “Man Hanging Out,” hangs Sigmund Freud, the father of psychoanalysis, by his hand from an iron beam. The other hand is placed in his pocket. What does this signify? Your guess is as good as mine.